Anyone who's ever seen an episode, or more, of Young Justice knows that this show is exactly how a DC property is supposed to look. Photo: DC Entertainment Since Marvel has already shown journalists early screenings of its next masterpiece (not your boy though) and the premiere is upon us, this is a discussion worth having before Civil War takes over the summer and all DC talk is on mute until Suicide Squad hits theaters. In fact, not only is it worth having, it's necessary. 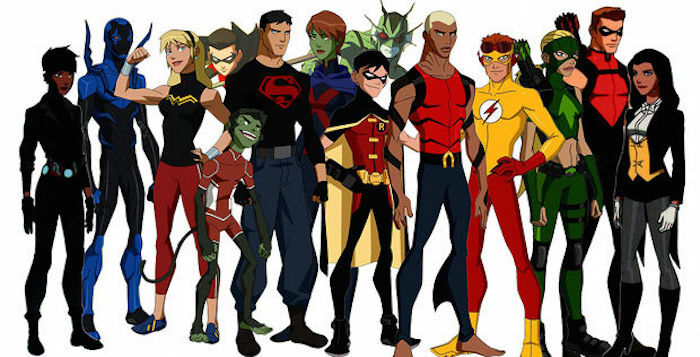 For those unfamiliar, Young Justice was an animated television program, created by Greg Weisman, one of the geniuses that brought us Gargoyles, and Brandon Vietti, formerly shown on Cartoon Network. The premise follows a team of former sidekicks and teenage superheroes sanctioned by the Justice League to conduct missions in times that the A team is otherwise preoccupied or unable to respond. And it's quite possibly the most perfect thing that DC Entertainment has done in the 21st century. In other words, get familiar. Everything that's missing in the first two silver screen installments of DC's extended universe (and even some of the television series') can be found in one 22 minute episode of Young Justice. Would you like an interesting plot that makes sense and doesn't feel the need to follow an excessive amount of tropes we've seen over and over in movies and TV? Check. Would you like to see a cast of characters that is multicultural, rich in diversity, and has more than one prominent woman main character on screen at one time? Check, again. Would you like to watch your DC superheroes in something that finds a good balance between serious and entertaining, instead of all doom, gloom, gritty, and overly self-important? Trifecta. Not to mention, there is a very relevant YA (young adult) angle to push here, because we're all getting tired of beautiful youths falling in love in dirty, post-apocalyptic futures – and the superhero business is booming. Wow, Young Justice sounds like a really great show. All of those aforementioned things in concert, along with some of our favorite characters, introductions to new ones, plus a lot of fire action scenes? What would DC do with a great piece of intellectual property like this, ripe with opportunity and endless possibilities? Cancel it. Photo: DC Entertainment The DC animated series that consistently had just shy of 2 million viewers every weekend (which is great for a cartoon), won an Emmy, and was given nothing but critical acclaim by any, and every, reviewer that has any knowledge about comics was cancelled. The reason why they cancelled Young Justice is even more terrible than the fact that they did it in the first place. For my folks that already know the story, I'm sorry to make you relive it. There was talk about comments made by Paul Dini on Kevin Smith's podcast, Fatman on Batman, back in 2013. The long time DC Comics animation writer and producer told Smith and his listeners he'd heard first hand that executives, "do not want girls watching these shows," with the reasoning that, "They don’t buy toys." 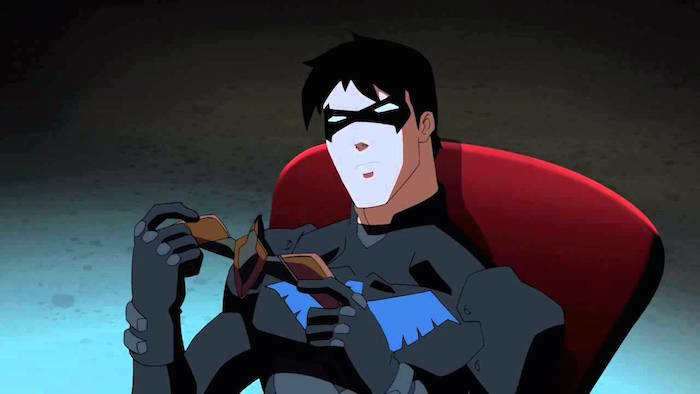 Also, he made the point that Young Justice was a more ambitious, mature type of show and that Warner Bros. and DC wanted a younger audience that was more into baseless humor and episodes about pizza. Photo: Giphy Young Justice as a concept could work just as well, or possibly even better, in live action as it did in animation, on the small or big screen. The DC television universe is well on its way to being the controlling force in the superhero genre on air, if it isn't already. And while the extended universe in film has been profitable so far, neither of the titles that hit theaters have been critically acclaimed or widely held as quality productions. Wake up and smell the Young Justice Warner Bros. and DC executives. Greg Weisman gave you the whole money play 6 years ago. This title, if done correctly in any medium, will be their property that reaches and represents the widest demographic, therefore pleasing the most people. There's no way to go wrong there. And if the movie/television route isn't the way you want to go, there were rumors earlier this year that Netflix is looking into the series. Set up a meeting, let's sign some paperwork and get this thing into production. Most importantly, there's only so many times I can re-binge the first two seasons in a row. The world needs more Young Justice. This cannot be the end. Take some time to think about it while we're all busy going to see Captain America: Civil War.